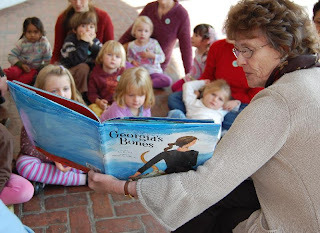 Introduce children to the Brandywine River Museum through Read-Aloud Tours. Held on six Thursday mornings from 10:30 to 11:30 a.m., the tours begin on February 4 and continue through March 11. The tours feature story time in the gallery followed by an art-making activity for children ages 3 to 6 accompanied by an adult. Registration is requested and families may sign up by contacting the education office at 610-388-8382 610-388-8382 or education@brandywine.org. The tours are included with admission; free for non-members. The Brandywine River Museum is located on U.S. Route 1 in Chadds Ford, Pennsylvania. The Museum is open daily, except Christmas Day, from 9:30 a.m. to 4:30 p.m. Admission is $10 for adults; $6 for seniors ages 65 and over, students, and children ages 6-12; free for children under six and Brandywine Conservancy members. For more information, please cal 610-388-2700 or visit the Museum's website at http://www.brandywinemuseum.org/.